I think that these words of the potato which I took good care of in SL throughout the life surely come out many times from now on, but. 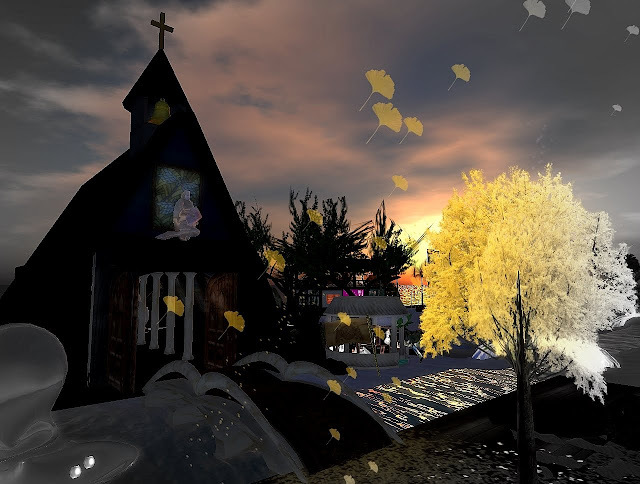 This SS is the church which gave a wedding ceremony with the darling who became a partner in Ogasawara Sim which Pirica administers (the others staff). Though I did not think about considerably making an expression have been an electric shock, then let's raise the ceremony in Ogasawara at the time of petit engagement announcement! It is Joy with owner Kyota of the mermaid shrine to have made this church. I am really full of the feelings of thanks for two people heartily. And and many couples raises an expression only with two people after the wedding, and Pirica and darling call friend and raise a wedding noisily memory of much is incised. There is Mermaid Temple OGASAWARA Shop of owner mermaid God Kyota, and there is WeddingShop which only Ogasawara has. WeddingDress which I can include a present of WeddingDress and the consideration to the newbie in a person holding the ceremony at this church, and enter at a bargain price at hand is prepared abundantly.